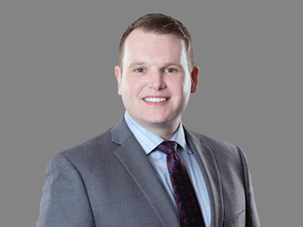 Lucas W. Morgan, Esq., joined Frier Levitt in 2016 as an Associate in the Healthcare Litigation and Pharmacy Law Departments. Lucas represents a variety of healthcare professionals in all aspects of litigation in both federal and state courts, and in arbitration. Lucas counsels healthcare providers in connection with contractual and business disputes. In particular, Lucas represents pharmacies in connection with audit disputes and network termination issues. Prior to joining Frier Levitt, Lucas worked as an associate in a law firm handling civil litigation matters, with an emphasis on insurance issues including contractual disputes, premises liability, and employment law matters. Lucas clerked for the Honorable James A. Farber, J.S.C. in the Superior Court of New Jersey following his graduation from Seton Hall University School of Law.